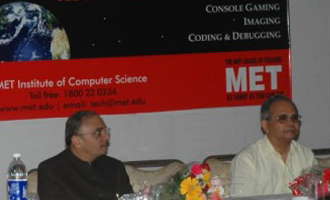 MET Institute of Computer Science organised and hosted ‘Tech@MET’ a one of its kind Intercollegiate Technical Fest on 8 & 9 February 2008. It was an annual festival for several MCA and MSc (CS/IT) colleges. Hundreds of students across Mumbai and Navi Mumbai participated. The theme for this year was ‘Universe’.